Premier heritage garden Tūpare has earned the NZ Gardens Trust’s highest six-star rating – a distinction shared by only 13 other locations nationally. Check out the six-star Tūpare at the Waitangi Weekend Fair on Saturday (9 February). The Trust warmly commends the New Plymouth property for the way it portrays its history while meeting the needs of a modern public garden, and it says the gardening and maintenance are of excellent quality. The six-star grading was awarded last month after a two-yearly review. “It’s something the whole region can be proud of,” says Greg Rine, Regional Gardens Manager for the Taranaki Regional Council, which owns and administers Tūpare. Tūpare’s landscaped garden is sculpted from a hillside overlooking the Waiwhakaiho River and features a unique homestead designed by pioneering Arts and Crafts architect James Chapman-Taylor. The property was originally developed by industrialist Sir Russell Matthews and his family from 1932. Tūpare is at 487 Mangorei Rd, New Plymouth. It’s open daily and entry is free. Saturday’s garden fair runs from 10am to 3pm. The Council also owns and administers Pukeiti, and Hollard Gardens in Kaponga. See www.trc.govt.nz/gardens/ for more information. Taranaki has one other six-star garden – the privately owned Te Kainga Marire in New Plymouth. 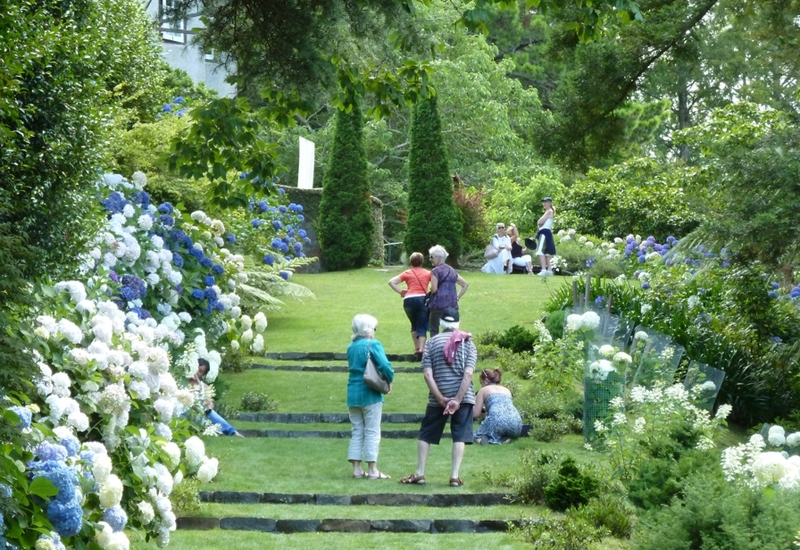 See www.gardens.org.nz/taranaki-gardens/(external link) for more details. Other six-star gardens are in Canterbury (five), Auckland and Dunedin (two each) and Waikato, Wellington and Marlborough (one each).